Spray Booths - Automotive Spray Booths - Industrial Spray Booths & More! Manufactures of Single and Double Wall Automotive, Truck and Industrial Spray Booths! We at Extreme Spray Booths work to provide solutions for today’s changing market needs in automotive repair, and surface coating by combining economic practicality, quality product and exceptional customer care. Extreme Spray Booths specializes in manufacturing single or double wall spraybooths and metal enclosures for Automotive, Truck / Fleet or Industrial applications. This has launched Extreme Spray Booths into the future of spraybooth manufacturing. Full installation, maintenance programs, and technical support service proves successful in helping our clients unite their shop needs and comply with the high standards of environmental and air quality requirements. Get started On creating your New Auto & Truck Spray Booth! Fast credit decisions, less paperwork and simple documentation makes financing simple and easy. 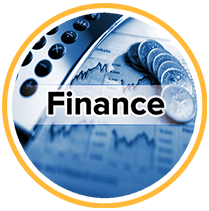 Financing provides capital to support your equipment procurement objectives so that cash can be used for your more vital operating needs. Depending on the structure of your company’s tax position; you may be able to deduct the full monthly payment. The simplest and most important way to prevent dust from entering your booth is to keep all booth doors CLOSED. When it comes to filters for your booth, you definitely get what you pay for. You may be tempted to purchase a lesser-grade filter to save money, but using cheap or incorrect filters is an open invitation for paint finish problems. Regardless of how well your booth is engineered, it’s likely that eventually SOME overspray could collect on your spray booth walls, floor and other surfaces. Any overspray or dust in the booth can become airborne and land on your paint job. The interior surfaces of the spray booth are not the only places you need to look for paint overspray. Overspray will also collect on the paint gun and air hose. This caked-on paint can flake off and end up on the painted surface. Dust, dirt and paint overspray aren’t your only enemies when it comes to a clean booth and properly operating equipment. Moisture can also be an issue. Spray guns, gun washers and the spray booth itself all require air. Because of this, compressed air systems are an integral part of the paint application process. Unfortunately, compressed air systems produce moisture. This moisture condenses and causes damage to tools and imperfections in your paint job. Extreme Spray Booths provides the very best in state-of-the-art spray booths including car spray booths, truck spray booths, automotive spray booths, body shop spray booths, industrial spray booths with your choice of cross flow, side draft, down draft & reverse flow in single and double wall options.